All the images in the post are owned by the respective owners/creators/authors. This post is a re-blog of my @JavaAdventCalendar post from https://www.javaadvent.com/2018/12/two-years-in-the-life-of-ai-ml-dl-and-java.html. Another confession, I didn’t spend too much time trying to gather and categorise these topics, thanks to Twitter and the Internet for helping me find them and use them. I hope whatever content has been put together here quantifies to more than the answer to the above questions. And in case you feel further improvements can be made to the content, categorisation, layout, please feel free to contribute, you can start by visiting the git repo and creating a pull request. Please watch, fork, start the repo to get updates of the changes to come. I know it is not going to make me popular by saying this but my humble request to all developers would be that not to think or expect everything possible from a single programming language. 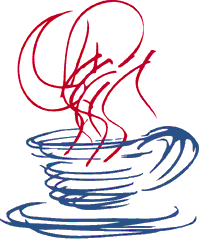 Any language and in the context of this post, Java and other JVM languages are meant and written for a purpose and no doubt we can replicate efforts made in other languages in Java/JVM languages. But at the end of the day they should all be treated as tools and be used where appropriate. Please keep an eye on this space, and share your comments, feedback or any contributions which will help us all learn and grow to @theNeomatrix369, you can find more about me via the About me page.